Kitchen tools There are 11 products. 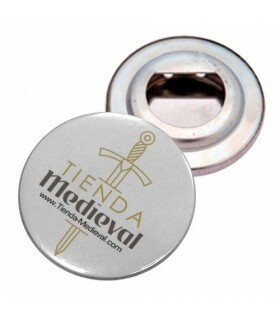 Original Opens-bottles Plate magnetic Tienda-Medieval. Ideal to hang on the door of the fridge. 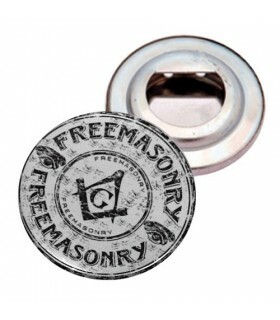 Original bottle-opener Button with magnet and design of the Knights Templar. Ideal for hanging on the refrigerator door. 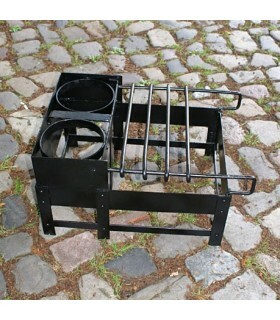 Replica of craticula, grill or Roman stove made of wrought iron and riveted by hand. The opening of the center is designed to locate the pan or cooking pot. Ideal for Roman or even medieval recreations. 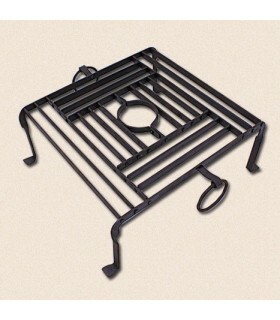 Replica of craticula, grill or Roman stove made of wrought iron and riveted by hand. 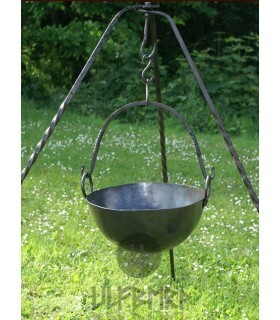 With 2 apertures2 to locate pots or pans for cooking./ P>Ideal for Roman or even medieval recreations. 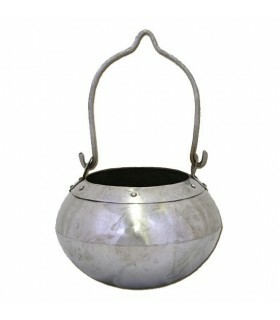 Medieval pan forged by hand and polished. The pan has been lubricated with vegetable oil and should be cleaned thoroughly before use. There may be oil stains or surface rust, and to remove these stains you have to use a metal scouring pad and spray to clean the oven. p>Volume: 7-8 liters. 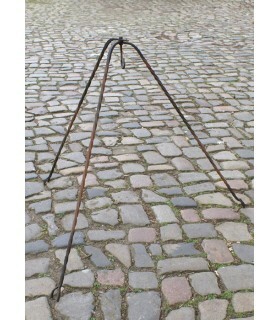 Tripod forged by hand, an ideal item for the outdoor kitchen. It can be used for cooking, frying or roasting if it is equipped with a pot, pan or grill. 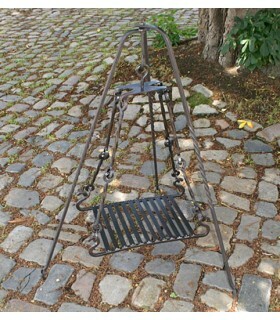 Medieval grill for tripod forged by hand. Does not include the tripod. 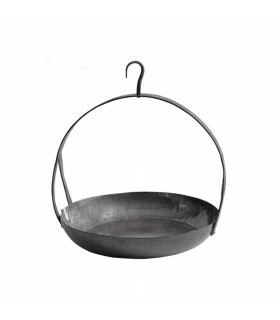 Medieval pan forged in steel blackened with soot and oiled. It comes with two side handles to be able to be attached to a tripod. The saucepan has a diameter of 33.5 cm. and a capacity of 7.5 liters. 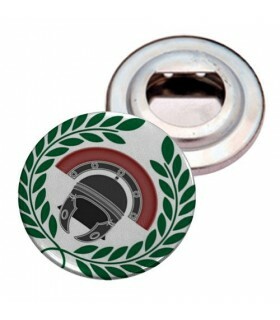 Original Opens-bottles Plate with a Magnet, the Roman Centurion. Ideal to hang on the door of the fridge. Original Opens-bottles Plate with Magnet with the design of the square and compass of the masons. Ideal to hang on the door of the fridge.